Jure wins the ACM SIGKDD Dissertation Award! 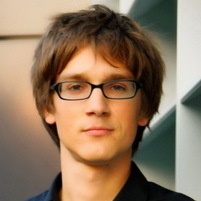 Prof. Jure Leskovec wins the prestigious ACM SIGKDD dissertation award! Jure defended his dissertation in MLD in September of 2009. The title is “Dynamics of Large Networks that hold for real graphs as well as several powerful tools to study blogs instant-message networks social networks like LinkedIn and other types of real graphs. ACM SIGKDD is the premier society for data mining research and the above award is the highest distinction for a Ph.D. dissertation in the area. The award which constitutes a $2 500 honorarium and a plaque will be presented during the opening ceremonies at the upcoming SIGKDD Conference in Paris Sunday June 28. Jure will have 15 minutes during the ceremony to present a summary of his work.